When we were in Korea a couple years ago, I hit up a drug store to see what intersting things I could find. I love going into grocery stores and drug stores in other countries. 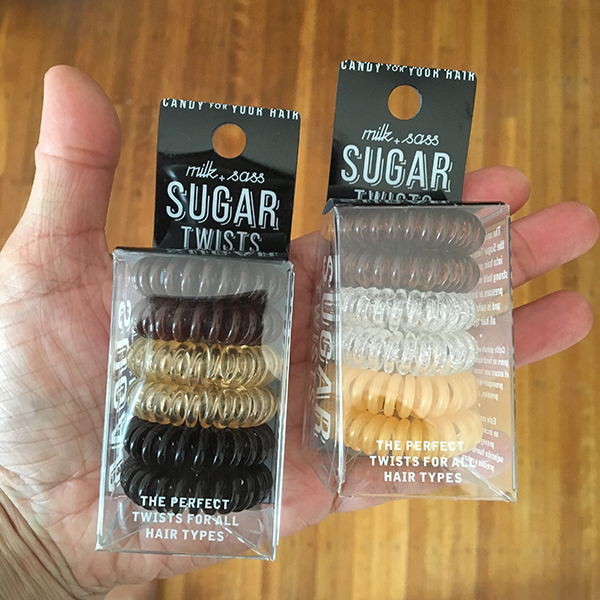 Besides my favorite eyelash curler ever, I discovered these springy hair twists. Really twisty. Like an old fashioned phone cord. I imagine that is what all the old school phone manufacturers are pumping out these days. Anyhoo, they quickly became my favorite hair accessory. But as all good tiny things.. they disappeared one by one. The cats look guilty but aren't talking. Luckily a quick search on Amazon turned these up. And in different colors! Crisis averted. I saw these by the cosmetics area at Kohls the other day. Also, at an Asian grocery store. These hair sptings are the best. I like them very much. I use it all the time making a pony tale. Find for more writing service Thanks.